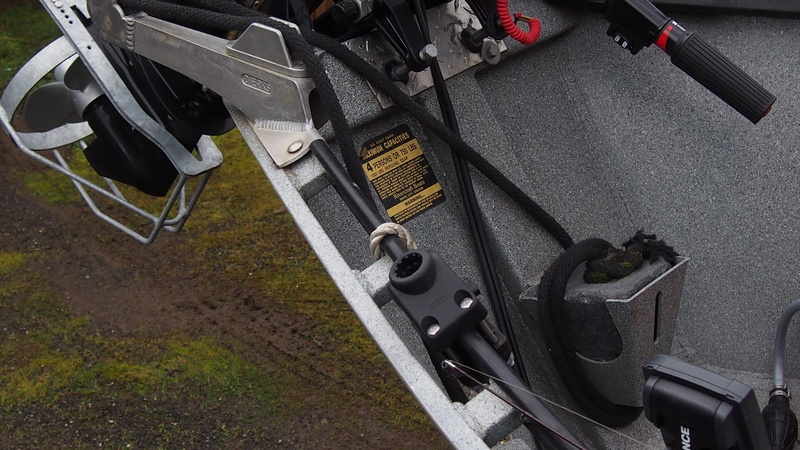 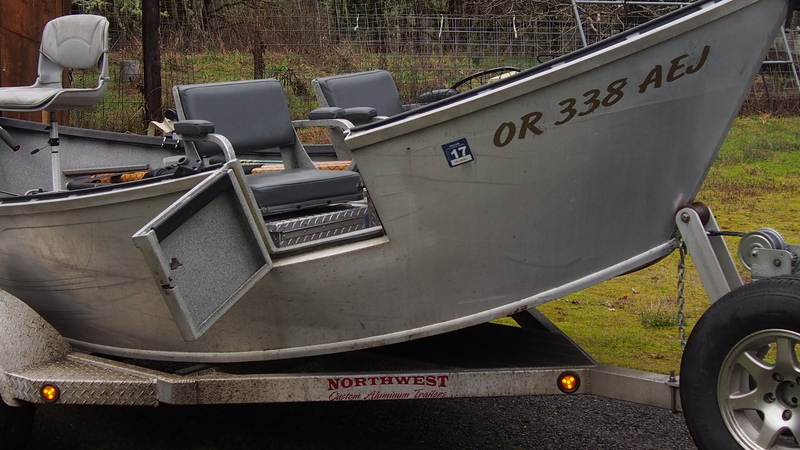 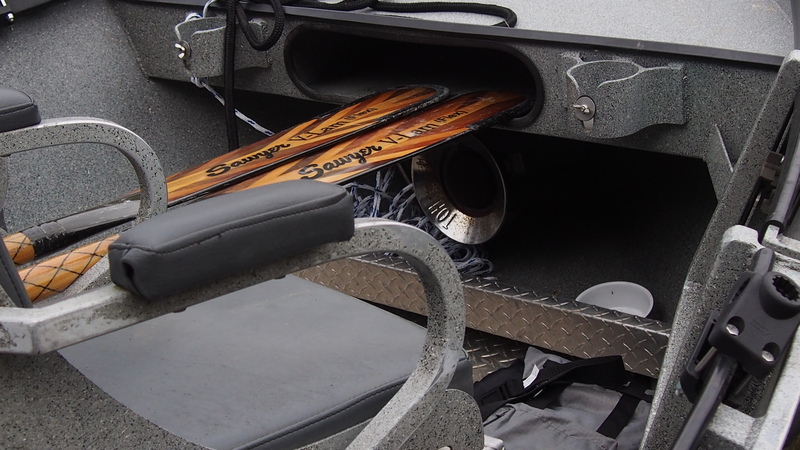 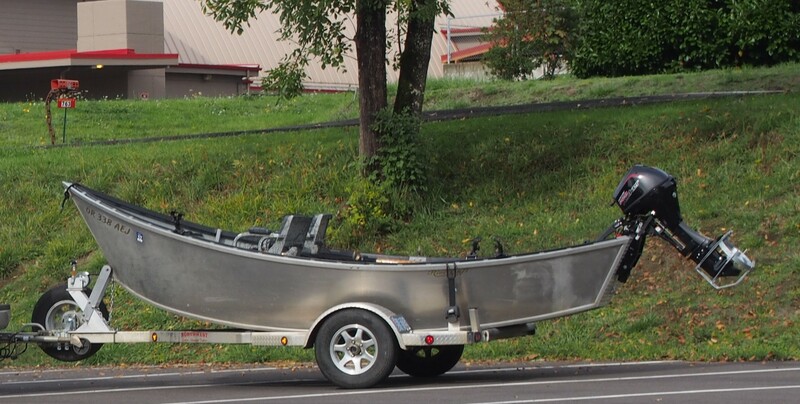 Boat is loaded and in excellent condition, Northwest Aluminum Trailer with catwalk, diamond plate floor system, level front floor to footrest, two-9 ft. oars, Heater system plumbed under floor with 10 lb. 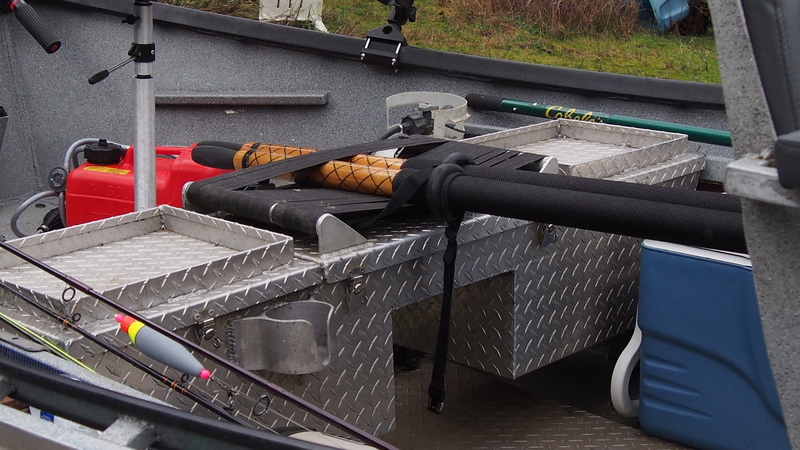 propane tank, 30 lbs. 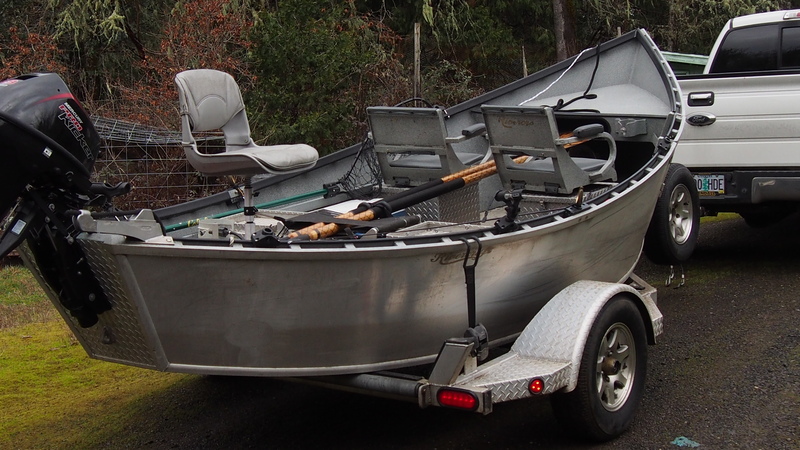 single pully Anchor System, 2 Movable seat boxes with aluminum framed gray seats, 24” pedestal rear Fish-On seat; with five storage compartments, pizza oven, seventeen inch Pavati style door on starboard (right) side front, two life vests and throw cushion, always garaged, and much more (without motor and electrical).